This one is definitely my favorite! Oh wow! That last one is AWESOME. I have seen triples before, but never quadruples plus a trailer! What a ride! I know, it's amazing! 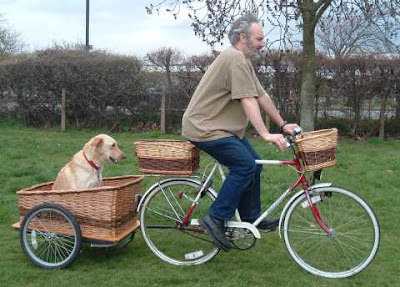 It's a bike built for the entire family! 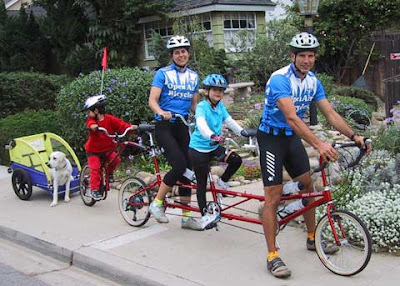 there was an owner of a bicycle shop in Westchester many years ago that made a four seater.He,his wife and another couple would ride it on the beach bike path.Holding four adults,it was quite long.